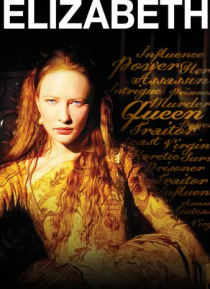 ELIZABETH is the critically acclaimed epic of the Queen's turbulent and treacherous rise to power! Before the Golden Age, Elizabeth was a passionate and naive girl who came to reign over a land divided by bloody turmoil. Amidst palace intrigue and attempted assassinations, the young Queen is forced to become a cunning strategist while weighing the counsel of her mysterious advisers, thwarting her … devious rivals, and denying her own desires for the good of her country. Relive the majesty and drama of one of history's greatest monarchs!